The clouded leopard (Neofelis nebulosa) is a felid found from the Himalayan foothills through mainland Southeast Asia into China, and has been classified as vulnerable in 2008 by IUCN. Clouded leopards have a tan or tawny coat, and are distinctively marked with large, irregularly-shaped, dark-edged ellipses which are said to be shaped like clouds. This unique appearance gave the cat both its common and scientific species name—nebulosus is Latin for "cloudy". 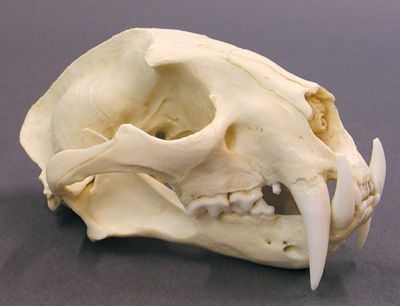 The clouded leopard was confusing to scientists for a long time because of its appearance and skeleton. It seemed to be a cross between a big cat and a small cat. The average clouded leopard typically weighs between 15 and 23 kilograms (33 and 51 lb), and has a shoulder height of 25 to 40 centimetres (9.8 to 16 in). Females have a head-body length varying from 68 to 94 centimetres (27 to 37 in), with a 61 to 82 centimetres (24 to 32 in) tail, while the males are larger at 81 to 108 centimetres (32 to 43 in) with a 74 to 91 centimetres (29 to 36 in) tail. Clouded leopards have a heavy build and, proportionately, the longest canine teeth of any living felid—of 2 inches (5.1 cm), about the same as a tiger's. These characteristics led early researchers to speculate that they preyed on large land-dwelling mammals. Because of the animal's reclusive nature, the behavior of the clouded leopard in the wild is little known. With no evidence for a pack or pride society like that of the lion, it is assumed that it is a generally solitary creature, and it appears to be primarily nocturnal. 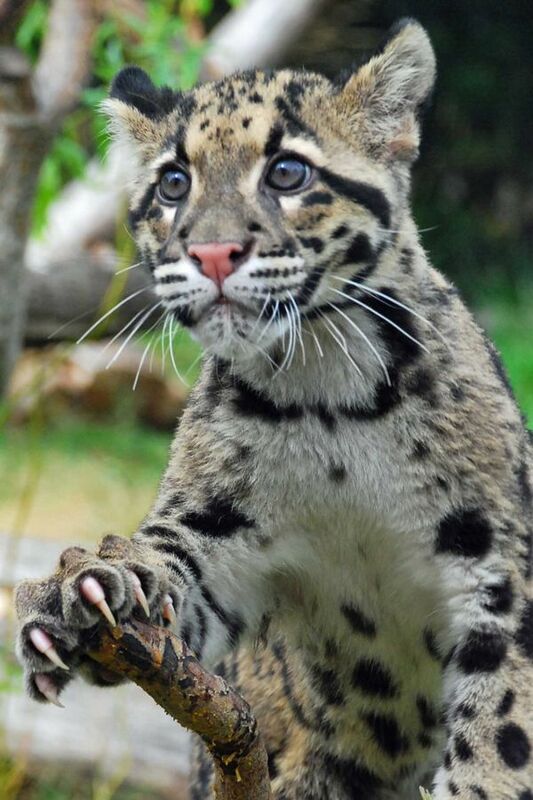 Clouded leopards are largely arboreal, hunting prey in the trees, and also using trees to rest during the day. However, they spend a significant proportion of their time on the ground, and sometimes inhabit environments without tall trees. The American Pit Bull Terrier (APBT) is a medium-sized, solidly built, short haired dog whose early ancestors came from England and Ireland. It is a member of the molosser breed group. The American Pit Bull diverges in appearance from the Staffordshire Bull Terrier, having fewer bulldog traits in the face and body. The American Pit Bull is medium sized, having a short coat and smooth well-defined muscle structure, but should never appear bulky or muscle-bound. Its eyes are round to almond shaped, and its ears are small to medium in length and can be natural or cropped. The tail is slightly thick and tapers to a point. The coat is glossy, smooth, short, and slightly stiff and can be any color except merle. The breed ranges from a height of about 17 to 22 in (43 to 56 cm) at shoulders, and weighs between 30 and 78 lb (14 and 35 kg) with the most common being between 35 - 55 pounds (16-25 kg. ), in fact the original APBT's were between 20 - 40 pounds (9-18 kg.) and were bred small for their main purpose, fighting. Anyone else here see the BBC 'Deadly 60' episode where Steve got up-close with the C-L? He was in no doubt as to their killing power & potential, he was quite angst-ridden when in close company with them. Anyhow, the wild felid has the quickness & propioceptive skills to put an S.O.P. throat-bite on the dog..
& drive those long canines.. deeply into the vital zones.. which control neural, & cardio-vascular control inputs. The dog will be held in a death grip, while it chokes on its own blood.. & in the throes of a crippling vagal seizure..
As much as I like clouded leopards, they are kinda cryptic aren't they? It would be useful to know any information on Instraspecific fights and predation by neofelis. (08-06-2018, 06:27 PM)Mondas Wrote: Anyone else here see the BBC 'Deadly 60' episode where Steve got up-close with the C-L? steve backshall is a drama queen who kind of plays up the danger of situations for the show. clouded leopards are very impressive on paper, but I simply havent seen enough of them for me to favour them over a pitbull, which is one the toughest animals in its weight category. 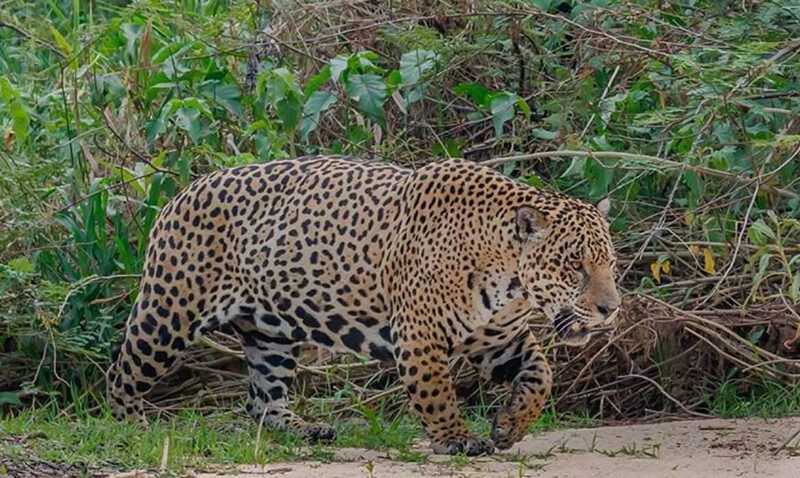 As of now the only animal I favour over a pitbull at similar weights would be a cape leopard. I don't have a confident pick in this matchup either way. But I suspect that if forced into a true fight-to-death scenario, the clouded leopard would win. Never underestimate that there's difference between being bred to fight (Pitbull) and naturally knowing to how kill quickly and effectively (clouded leopard). I know that coyotes can defeat pitbulls. A coyote attack at a popular San Francisco park left a pit bull injured. Witnesses say the dog and the coyote fought in thick brush near Pine Lake for more than 20 minutes. They added that the dog’s owner, police and parkgoers had a hard time getting to the dog and when they finally did, the dog appeared to be in shock. Animal care officials searched for the coyote but could not find it. The agency said the pitbull was off leash in an "on-leash" area of the park. There are signs in the park warning dog owners about coyotes. I think the clouded leopard's superior weaponry, along with its grappling skills, will be enough for it to win. It might be badly hurt though. In terms of grappling ability, the CL looks much more immpressive than a Lynx. For this match up I think I'll give the edge to the panterine seeing how it's got a stocky build, thick pantherine forelimbs and a set of jaws that can inflict pretty wicked damage if they need to. The only advatages the dog has is gameness and possibly the stronger bite at parity along with stamina but I personally think this cat has the capability of maneuvering the dog despite being equals weights. That's just based on visuals though, I really don't know how robust the CL is but it looks much more immpressive than a Eurasian Lynx. I think the cat wins for the above reasons. However, it would be very badly injured after the fight, and most likely die from its injuries afterwards. Dogs are not a deterrent for leopards. In fact, they are preferred prey. 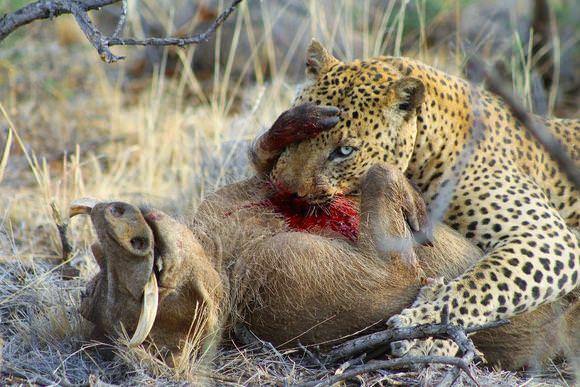 A leopard will easily kill a large dog such as a Rottweiler or Boerboel and carry it away. Another indicator of a leopard in the area is when many dogs go missing within a relatively short time. The cats in that video looked smaller than I thought they would but still big enough to beat a pit bull but the grab and shake of the pit bull might help it out since most feline fights compose of multiple rounds of grappling and biting then breaks similar to an mma or boxing match while dogs tend to go longer until on retreats and usually the cat that tries to break up before the end of the round loses. Then again the clouded leopard is isanely robust so is the pitty. Forbiddenip I don’t know about that photo it looks much larger than the ones compared to the video either it’s much older or as with most hunting photos the animal is held closer to the camera to make it appear larger and more fearsome. Nevertheless he killed hunting dog when humans tried to catch him. + Lynx can defeat a grey wolf. Alright, first of. The Wolf that got "killed" by the Lynx had mange, and it fled the fight, dying from its infections most likely. Just like with the 2 Pits getting rekt by a Bobcat, the Wolf could have fought on, since scars are mostly only deadly in the long one, not in the now in the fight itself. Second, Leopards targets all kinds of dogs and usually do so by ambush. There is no dog or Wolf I would favor over a Leopard unless they had a large size advantage, but ambush plays a large role. And many of the dogs they kill are strays. 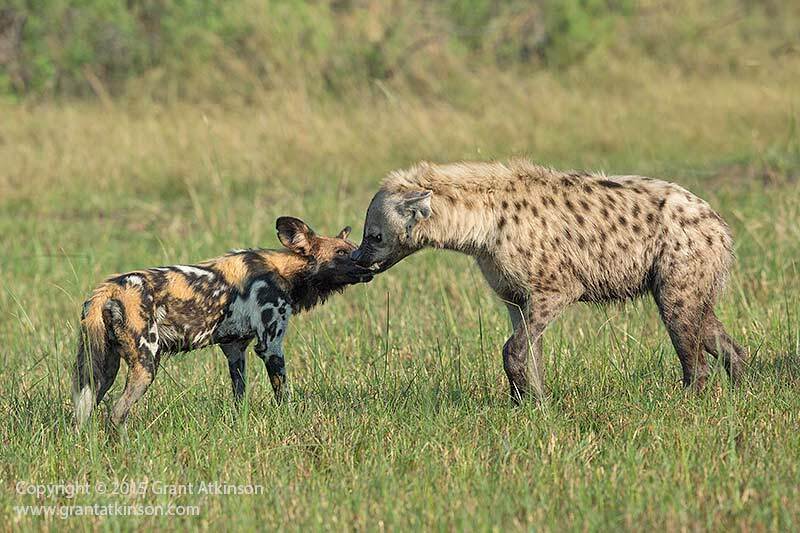 Just because it killed a hunting dog, does not mean it is going to kill a working gripper face to face. I favor the CL myself, but thus far, only slightly.